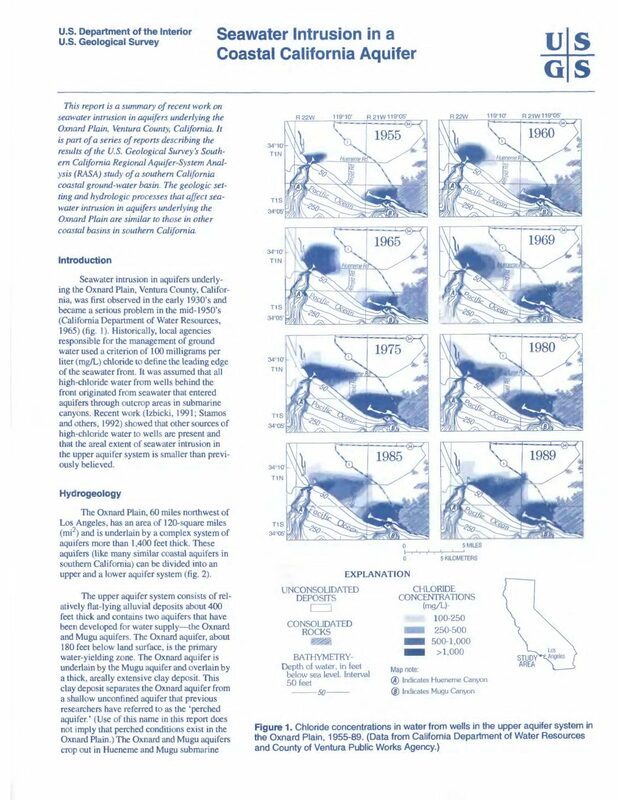 Seawater intrusion in aquifers underlying the Oxnard Plain, Ventura County, California, was first observed in the early 1930's and became a serious problem in the mid-1950's (California Department of Water Resources, 1965) (fig. 1). 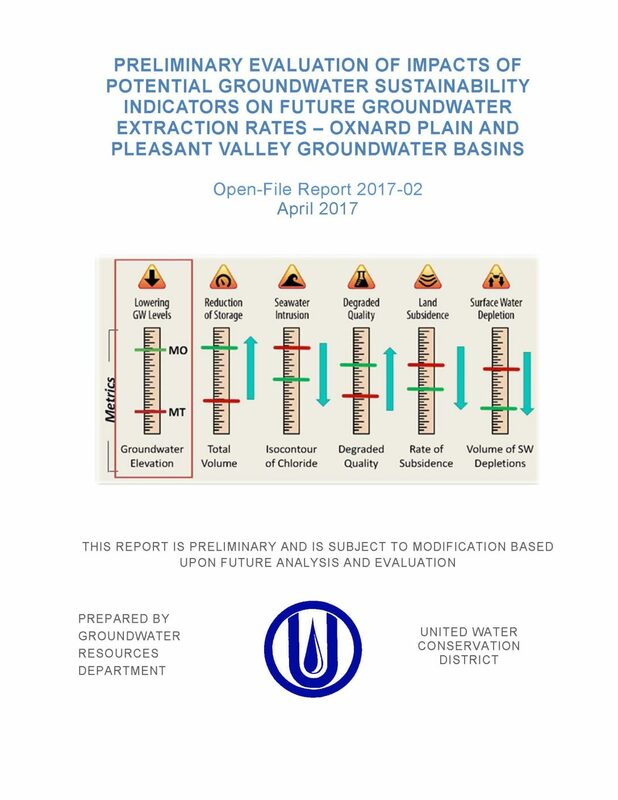 Historically, local agencies responsible for the management of ground water used a criterion of 100 milligrams per liter (mg/L) chloride to define the leading edge of the seawater front. It was assumed that all high-chloride water from wells behind the front originated from seawater that entered aquifers through outcrop areas in submarine canyons. Recent work (Izbicki, 1991; Stamos and others, 1992) showed that other sources of high-chloride water to wells are present and that the areal extent of seawater intrusion in the upper aquifer system is smaller than previously believed.